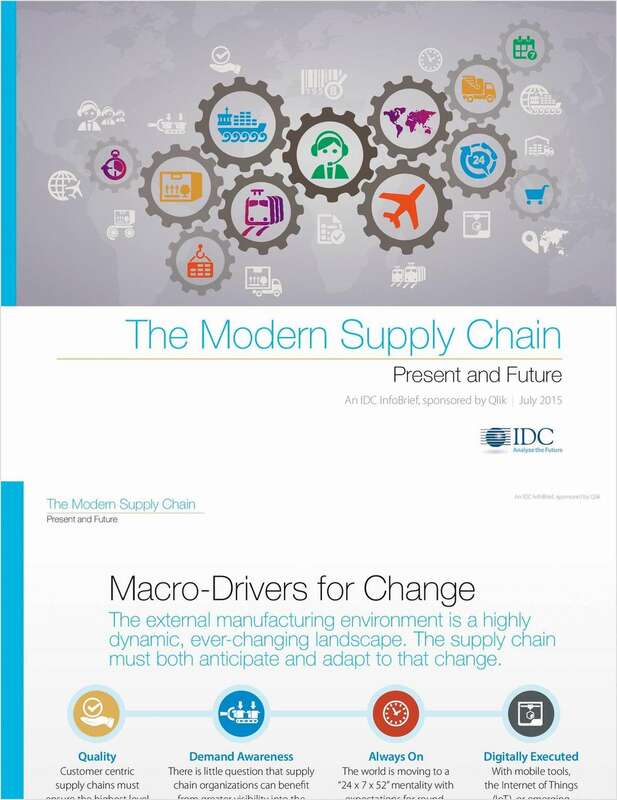 "The Modern Supply Chain: Present and Future"
Free Information Brief: "The Modern Supply Chain: Present and Future"
The external manufacturing environment is a highly dynamic, ever-changing landscape. The supply chain must both anticipate and adapt to that change. By submitting this content request, I have legitimate interest in the content and agree that Qlik, their partners, and the creators of any other content I have selected may contact me regarding news, products, and services that may be of interest to me.